We had a great Club Sunday on Sunday the 23rd of September. 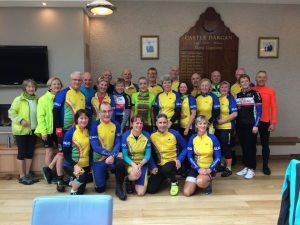 The idea of the Club Sunday’s is to gather all active members together and to cycle and socialise together in mixed groups. On a blustery and occasionally showery morning a good turn out of 32 members assembled at IT Sligo at 10am. After a briefing on the route and safety precautions, we cycled out via Strandhill in three mixed groups. It was great to meet other members and to chat people that we would not meet on regular Sunday spins. 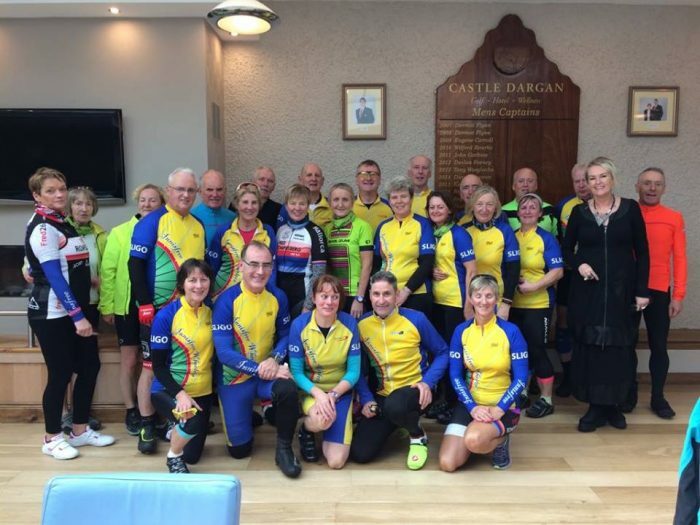 After climbing Coney hill and cycling through Collaney, Collooney, and Ballygawley, we were then treated like royalty to a welcome and magnificent coffee/tea stop by Breege Fallon and her staff in Castledargen Hotel. 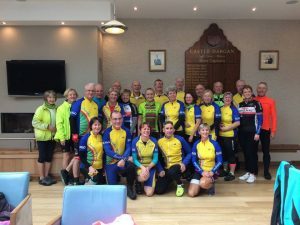 With ample supplies of fresh scones – with home made strawberry jam and fresh cream, apple pies, freshly baked croissonts, and plenty of delicious shortbread biscuits, we left fully fed and refreshed for our return to Sligo. Some rode left towards Dromahair while others took the more direct route home via Carraroe. Roll on the next Club Sunday …..